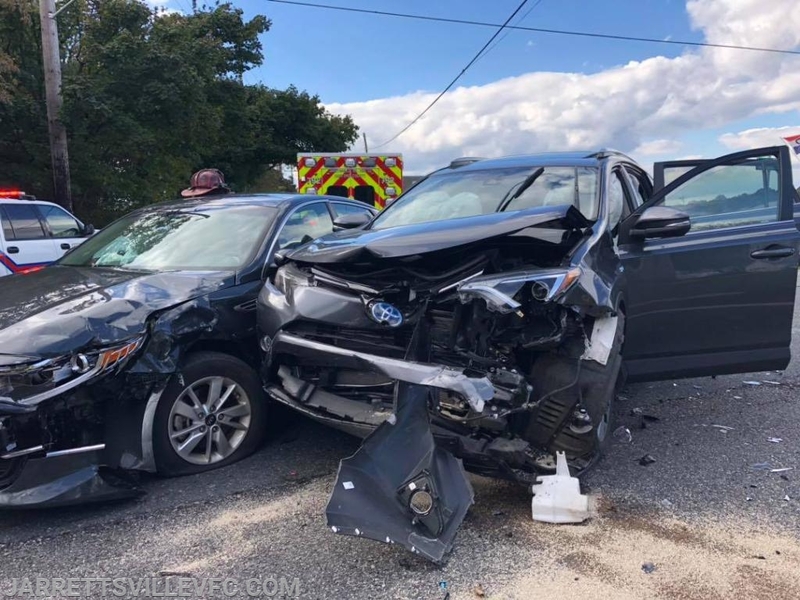 The Jarrettsville Volunteer Fire Company was alerted for a motor vehicle accident with injuries in the area of Norrisville Road and White Hall Road. First arriving units reported a two vehicle collision at the intersection with multiple patients and requested a total of 3 transport units. Rescue 751 secured the scene of all hazards and assisted transport units with patient packaging before being placed back into service.